What is Product Safety Testing? Safety testing is about more than just maintaining compliance and limiting your liability — it’s about delivering a superior product for your customers. 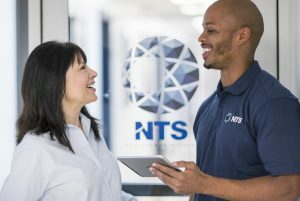 Whether you manufacture goods for the consumer, military, aerospace or any other market, NTS can help with this essential stage of the quality assurance process. For more than half a century, we have been committed to delivering product testing services to some of the most demanding clients worldwide. NTS has extensive experience in testing electrical products in accordance with various safety standards including IEC/UL/EN 60950-1 for Information Technology Equipment (ITE), 61010-1 for Laboratory and Test & Measurement equipment, 60335 for Household equipment, 60065 for Audio, Video and Similar Electronic Apparatus as well as IEC 60601-1-x for Medical Equipment. One of our biggest strengths is our ability to work with clients from the start by identifying where they intend to market their products. Once NTS has identified what safety/certification marks our client needs, NTS will prepare a test plan to satisfy the respective standards and requirements. To summarize this, NTS will save clients time and money, but most importantly, headaches and stress. In today’s economy, getting your product to international markets is one of the keys to profitability in multiple industries. Your choice of a product safety test company can play a large role in clearing the regulatory hurdles involved in selling goods overseas. NTS has the relationships in place to offer various agencies safety marks including CSA, UL, and TUV. NTS services include United States (NRTL/OSHA), Canada (CB/SCC), Germany (GS), South America, Mexico (NOM), Australia/New Zealand, Asia JQI, JEt, Japan (PSE), Russia (GOST), and International CB Scheme Reports. NTS also offers testing against the LVD (Low Voltage Directive), MD (Machinery Directive), Radio and Telecommunications Terminal Equipment (R&TTE) Directive or others for Self Declaration against EU countries. 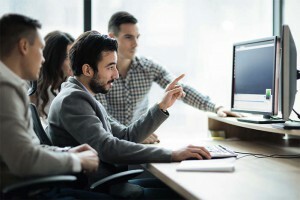 In addition to testing and certification, we provide a full range of support services that help you determine specific international requirements. We can also conduct pre-testing to expedite the approval process for regulatory bodies we don’t have direct relationships with. Different industries have different safety standards and different end user expectations. Managing these various factors requires specialized equipment and expertise. Industry- and market-specific product safety testing must take into account usability concerns, regulatory requirements and more. At NTS, our advanced safety testing capabilities allow us to meet the certification requirements of demanding industries, and tailor our testing processes to deliver the most value for our clients. To better serve clients in these and other market sectors, we maintain a network of product safety testing labs around the country. To discuss your project in detail with one of our experts, contact us today.